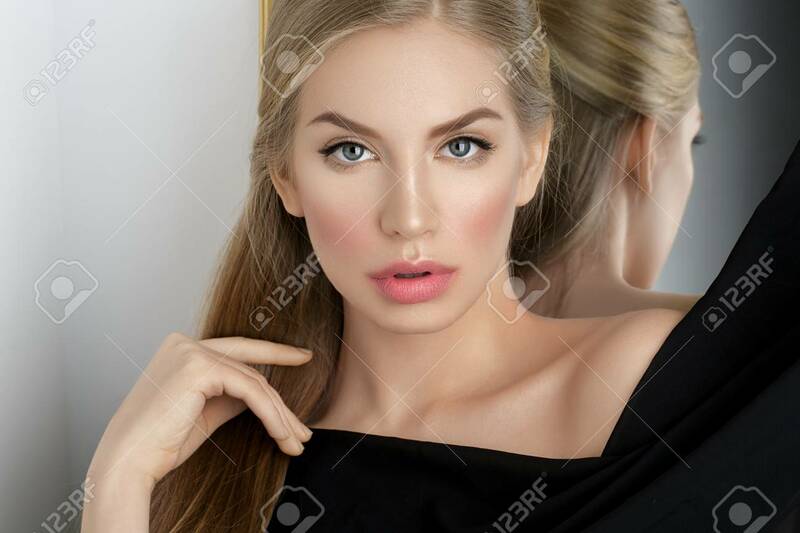 Beautiful Young Woman With Blond Hair And Makeup Covered With.. Stock Photo, Picture And Royalty Free Image. Image 58302020. Stock Photo - Beautiful young woman with blond hair and makeup covered with piece of black fabric. Copy space. Beautiful young woman with blond hair and makeup covered with piece of black fabric. Copy space.